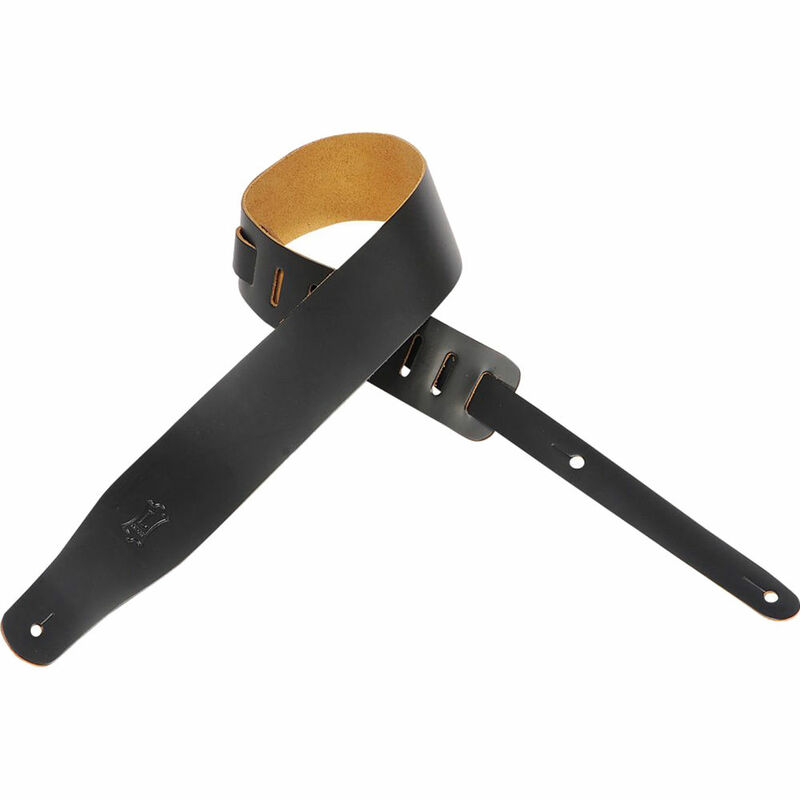 Styled in black, the Levy's Genuine Leather Guitar Strap is a basic 2.5" leather guitar strap with an adjustable length of 38 to 51". Genuine Leather Guitar Strap (Black, 38 to 51") is rated 5.0 out of 5 by 1. Rated 5 out of 5 by Anonymous from Looks good. Feels good. Great price The strap feels really nice.Quite firm upon receiving it but it feels and looks like quality leather. I can't wait to wear it in.